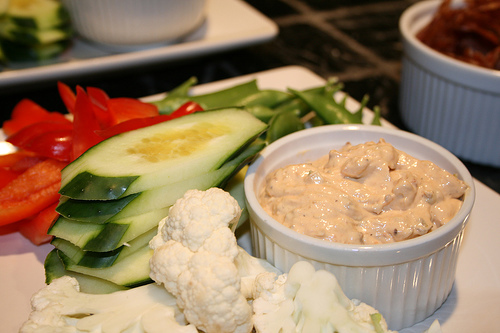 I often make Sundried Tomato Dip (from Barefoot Contessa). The Weekly Dish provided a Feta twist on the Sundried Dip, and I recently found this curry dip from Epicurious. All the reviews [for the curry dip] are thumbs up, with a recommendation to make it one day in advance, so the flavors have a chance to wrangle. Oh, and upon making these dips, I did some tweaking. My recipe twists are below, but for the original recipes, just click on the respective source. Place all in blender; blend. Puree the tomatoes, cream cheese, sour cream, mayonnaise, red pepper sauce, salt and pepper in a food processor fitted with a metal blade. Add the scallions and pulse twice. Serve at room temperature. Dec 31 a New Year's toast: with my favorite drink.